FotoBella: Graphic 45 October "2 Cards/ 2 Tags" Kit Shakes it Up! 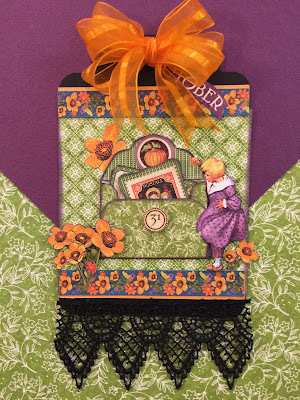 Graphic 45 October "2 Cards/ 2 Tags" Kit Shakes it Up! The Graphic 45 "A Children's Hour" October "2 Cards & 2 Tags" Membership Kit by FotoBella is shaking things up this month! 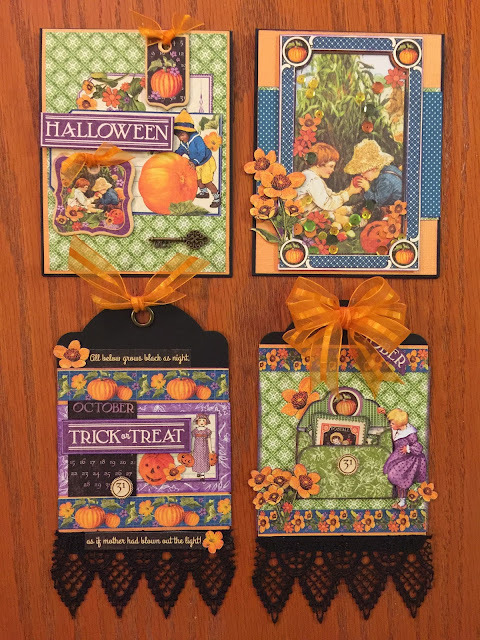 With this kit, you can impress your ghosts and goblins by giving them a handmade card or tag in their Trick or Treat bag this year! 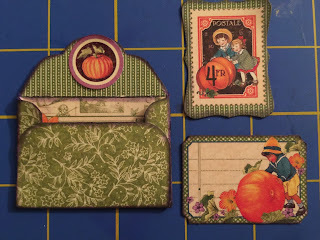 and this Shaker card is fun to make and to receive! 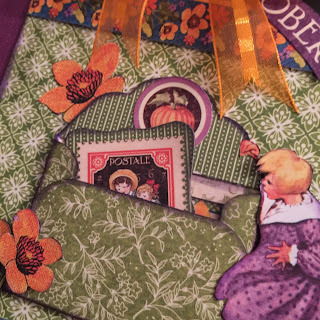 and reminds us we just have a few more days "til the 31st! 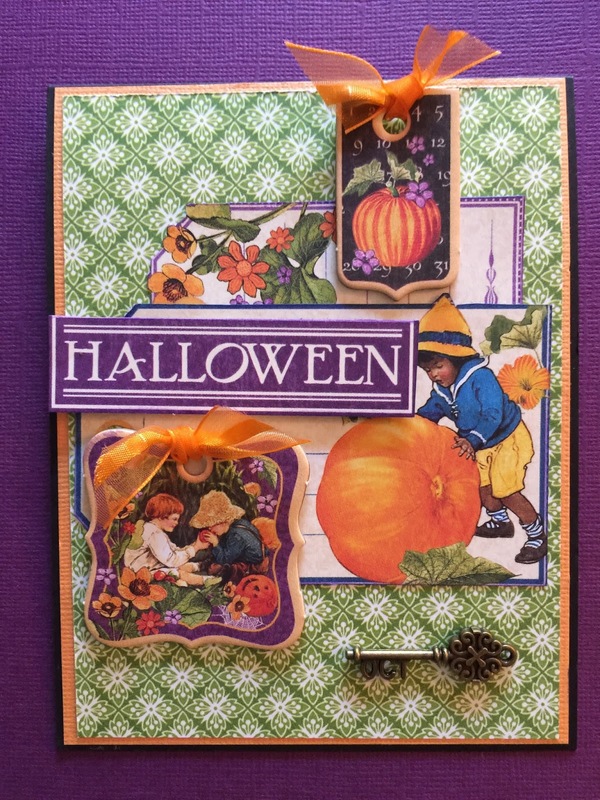 The collage card is bright and cheery, not at all spooky! The details make this tag so very special! 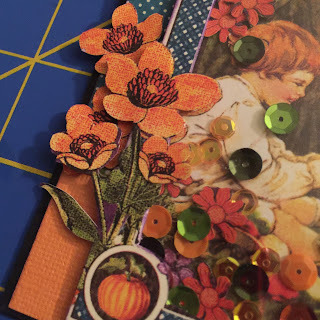 Its the little touches that make the difference! Put a secret Halloween message inside! You will make it your own by fussy-cutting your own details! 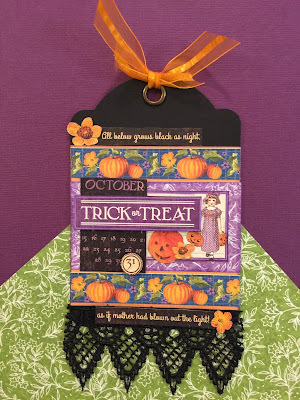 The FotoBella "2 Cards/2 Tags" kit is so much fun this month! You will be making a shaker card, a collage card, and two amazing tags with lots of spooky details! 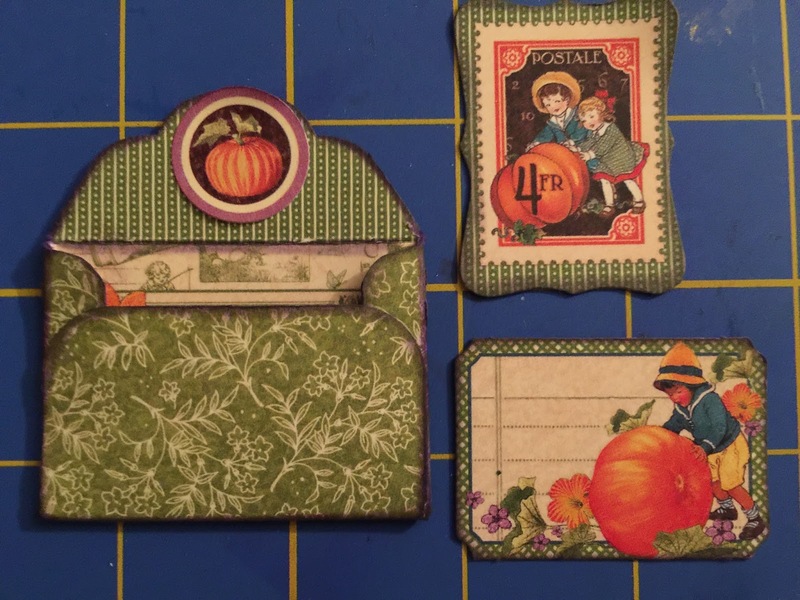 The kit includes step-by-step detailed instructions with photos, so you'll look like a pro!